Bandla Silly Comments, Too Funny! 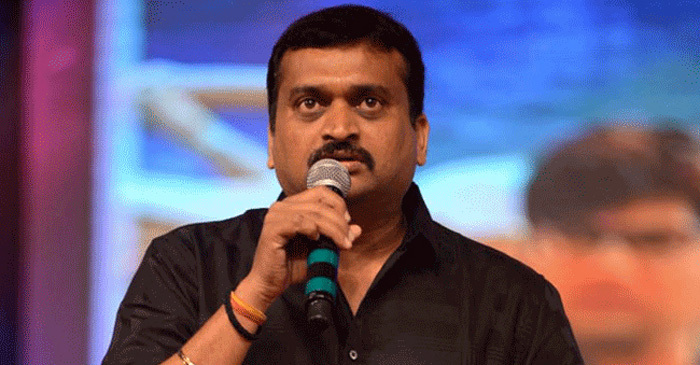 Actor turned producer Bandla Ganesh is known for mega bhajana. Interestingly, when everyone thought he would join his ‘god’ power star Pawan Kalyan’s Janasena Party, much surprise to everyone, he joined Congress Party. He expected ticket from one of the constituencies of Rajendra Nagar, Shad Nagar and Jubilee Hills. Nonetheless, Bandla Ganesh’s name was not there in first or second list of members announced by Congress Party. Still, the mega producer is hoping to get ticket in the final list to be announced very soon. The anchor couldn’t control himself has laughed silently. He enquired how notes ban is linked to potholes in Hyderabad city. Ganesh tried to cover it up and in the process provided more fun with his mark silly answers. This video is presently going viral in social media. Many opine that Ganesh is unfit for politics and he will not get ticket, not just for this time but forever. Nikhil Promoting Pawan’s Media House!